Located in Elk River, Minnesota, WilloRain Studio is a small, learning-oriented pottery studio featuring handcrafted pottery (both wheel-thrown and hand built) as well as classes for children and adults. WilloRain Studio offers many different projects that are excellent for home-schooling, after-school enrichment or just general fun! Most of these projects involve hand-building with clay and are usually completed in two to three sessions. Get your child involved in art and wake up their imagination! The resident potter is Beth Willoughby. Having 'retired' from teaching elementary music, Beth took a pottery class to see what it was like -- and she loved it! So, after many years of driving to classes, she now has her own studio for pursuing her personal potting pleasure and to share with others her enjoyment of getting her hands dirty in the clay. The product line changes with the mood of the potter. Classes offered change with the needs of my clients! The pottery you see on this web site may or may not still be available. The pictures should be your guide to what I like to do. If you would like to purchase pottery from me, check to be sure that the piece is still available, or order something like it to be made especially for you! I accept PayPal, or if paying in person: check or cash. 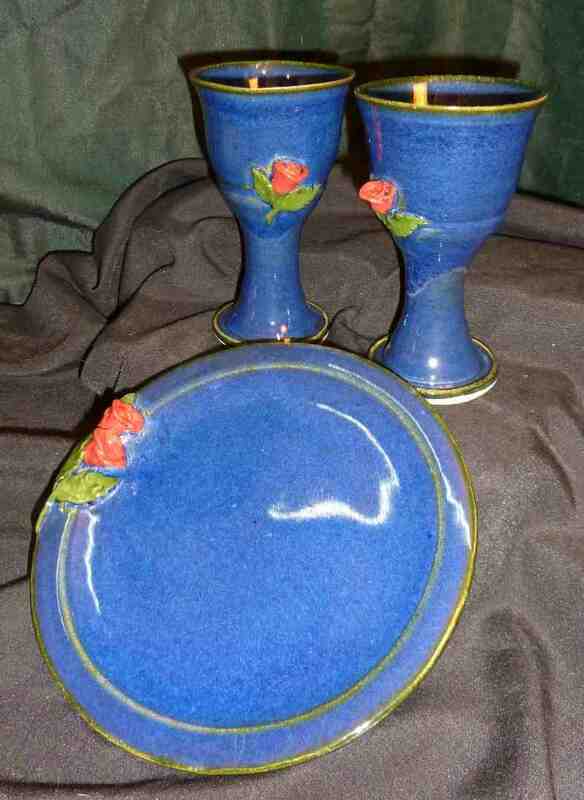 Consider custom pottery for special occasions such as anniversaries, weddings, silent auctions, or house warmings. The key to special request items is to plan ahead! One of the most popular clay arts class offerings is the "One Pot Experience". This one-on-one class gives you an idea of what making pottery is all about. You will throw, trim, glaze and take home your own creation! Come get your hands dirty and have fun! Send mail to webmaster@willorain.com with questions or comments about this web site. WilloRain Studio is located in Elk River, Minnesota in southeastern Sherburne County. We are about 30 miles northwest of Minneapolis.